This recognition is a testament to the trust and confidence our customers place in our technology as well as our commitment and focus to deliver exceptional digital services to help our customers succeed. 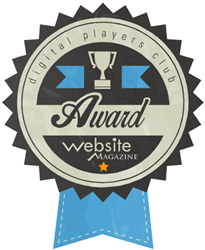 Digital Performance software company, Dynatrace today announced that Website Magazine has named it a 2016 Digital Power Player in the “Performance” category. This recognition further validates Dynatrace’s unrelenting focus on digital performance and its commitment to helping businesses achieve digital success. To read more about the 2016 Digital Power Players, click here.